Hoy nos gustaría compartir un poco con vosotros nuestras principales vías de exportación. Today we would like to share with you our main export routes. Our adventure began in USA, from the hand of our friends Indie Wineries. They were looking for a young winery, like ours, that made wines with character and that wanted to enter the ecological world. They were followed by another US importer, Cordero Foods, the one who set out on the adventure of selling wine in the US form Benavente. Estos son los países con los que estamos trabajando o en vías de trabajar en estos m momentos. A EEUU le siguió Costa Rica de las manos de Vino D Vino que apostó por hacer llegar nuestros caldos a los costarricenses. Después de estos saltamos de continente y nos metimos en el grande asiático. Nos metimos en China con "Shenyang Linjun Import & Export Trade Co", que empezó a trabajar con toda nuestra gama de tintos. // USA was followed by Costa Rica, from the hands of Vino D Vino who bet to bring our wines to Costa Ricans. After that we change the continent and we got into the big Asian. We started selling in China with "Shenyang Linjun Import & Export Trade Co", who started working with all our range of red wines. A estos les siguieron Honduras, Finlandia, Suecia, Holanda, Peru, Japón y finalmente Colombia con la que estamos ultimando para empezando a trabajar. // Then, Honduras, Finland, Sweden, Holland, Peru, Japan and finally Colombia started working with our wines. Espero que os haya parecido interesante el post de hoy. Muy buen día para todos. // I hope you find interesting today's post! Good day for everyone! Look at the news just arrived from Catavinum Competition! 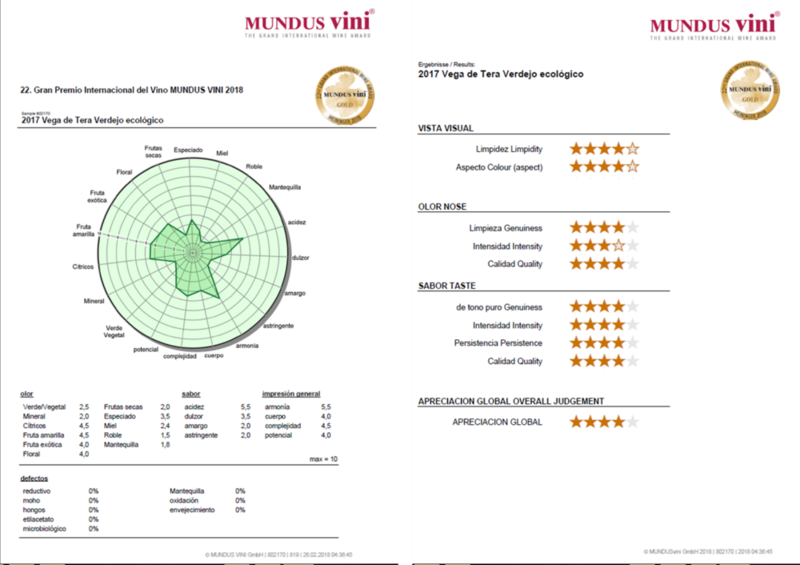 Nuestros vinos han causado una muy buena acogida por el jurado del concurso Mundus Vini, uno de los concursos más importantes a nivel mundial en el que se dieron cita 6700 vinos procedentes de más de 150 regiones vitícolas del mundo.